Authenticity is all well and good, but there’s a world of possibilities out there when it comes to combining street food flavours from around the world. Here are five recipes to excite your taste buds. Street food has been on the rise over the last decade in the UK. Whilst many parts of the world have strong, established street food cultures, we’re only just starting to open our eyes to the possibilities offered by eating outside of homes and restaurants. It wasn’t long ago that ‘street food’ conjured up memories of questionable hotdog vans in lay-bys – thankfully those days are a thing of the past now, and some of the best food in the UK starts off life on the streets. Street food markets are popping up all over the country, incubating hundreds of promising new food businesses, each with exciting new ideas to bring to the (picnic) table. Explore food markets around the world and you’ll find that street food is the foundation for many of the world’s strongest food cultures. From the tacos and tamales of Mexico City, to the noodles of Malaysia, tender yakitori skewers in Japan and earthy suya in West Africa, street food is no mere novelty – this is how people eat every single day. That culinary identity is something we’ve never quite had in the UK, but we’re experts at stirring the melting pot and combining different flavours from all over the globe to create something new, fresh and exciting. Fair enough, they don’t always work – anyone who has suffered through a chicken tikka pizza can testify to that – but there’s a whole world of delicious possibilities out there, just waiting to be discovered. 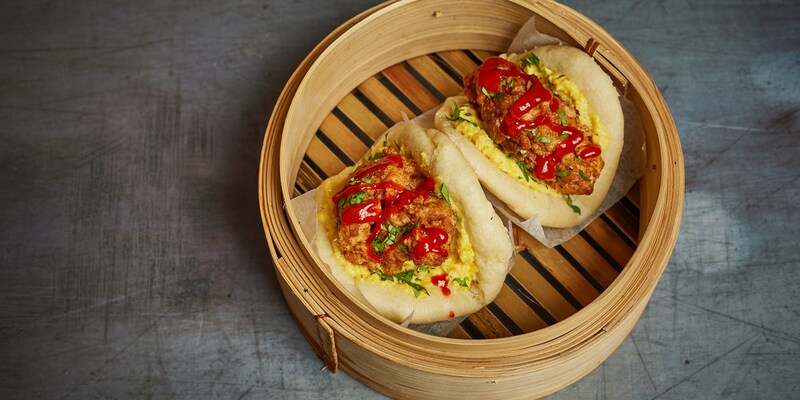 Think steamed Chinese buns stuffed with hot cajun chicken, Indian kebab wraps, juicy strands of Middle Eastern lamb stuffed into tacos, and any number of world-inspired burger combinations. 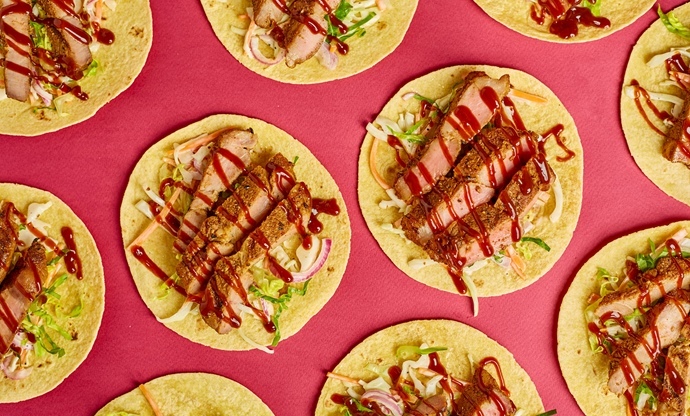 Read on for a few delicious street food fusion recipes, and get creative with your own! Memphis-style barbecue is famous for using dry spice rubs to flavour meat, rather than marinades – the salt and sugar in the rub helps the cure the outside of the pork, intensifying the flavours and improving the texture of the meat. Normally pork shoulder in Memphis would be slow-cooked and pulled, but the rub is just as effective on pork shoulder steaks. Let your steaks marinade overnight then cook them in a smoking hot griddle pan, whilst you whip up a quick and easy barbecue sauce and a creamy coleslaw to match. Wrap it all up in a soft taco and you have something special on your hands, literally. Although different za’atar blends will vary, it’s generally accepted that this Middle Eastern spice is a mixture of dried herbs, sumac, sesame seeds and salt. That earthy, herbaceous flavour makes it a perfect match for lamb, and an ideal spice rub for grilling. 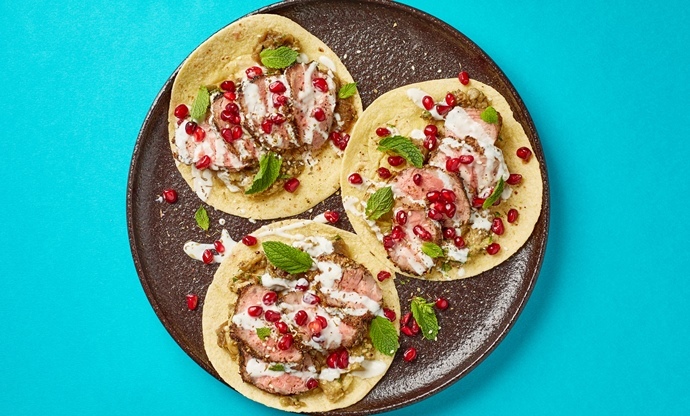 Rub your home made za'atar all over your lamb and leave it to absorb those lovely flavours whilst you char your aubergine and whip up a baba ganoush – then char your lamb on a searing hot grill. Lamb and aubergine is a classic combination – all you need to finish things off is a sprinkle of pomegranate seeds and a few mint leaves. Delicious. Kalmi kebab is a classic Indian dish, where chicken drumsticks are slathered in a marinade of yoghurt and spices, then cooked in the intense heat of a tandoor. A good kalmi kebab is all about a good marinade – ours uses cashew paste, yogurt and a heap of spices to get bags of flavour into the chicken thighs. 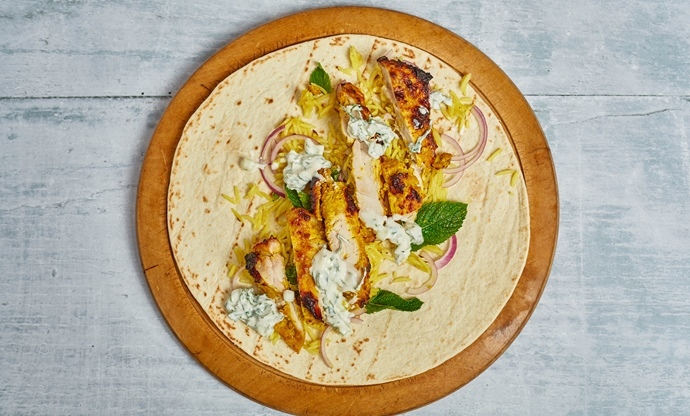 Leave your chicken to marinade for as long as possible, then get them onto a hot barbecue or under a hot grill, and serve in a tortilla wrap with pilau rice, red onion, mint and a cooling cucumber raita. Bao buns are often home to soft, melting slabs of pork belly, or crispy chunks of chicken karaage, but why not take things in a slightly more southern direction? The soft, steamed buns match perfectly with the crunch of southern fried chicken. The buttermilk brine tenderises, seasons and firms up the texture of the chicken, before being coated in the spiced flour and deep-fried to crispy perfection. 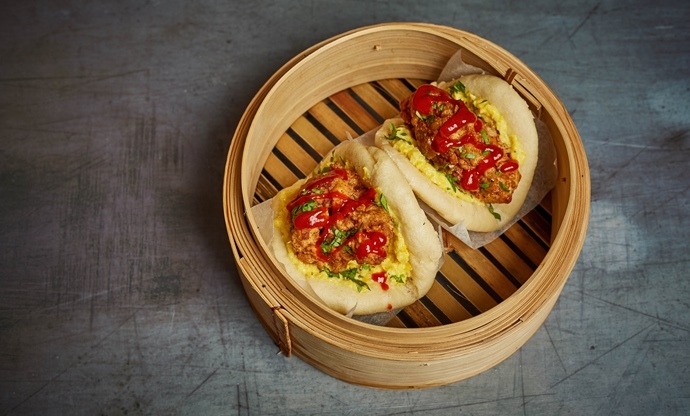 The bao buns are also remarkably easy to prepare, and will puff up nicely in the steamer, ready to be filled with that crispy southern chicken and a dollop of creamed corn to temper the heat. 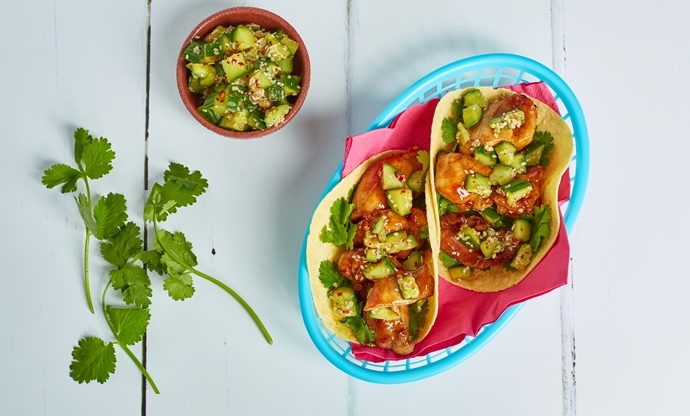 Soft Mexican tortillas show their versatility yet again, pairing up beautifully with these delicious Cantonese chicken thighs. A lot of effort goes into the preparation of the chicken here, but it’s more than worth it for the final result. The stock is a heady mix of soy sauce, Shaoxing wine, Chinese red vinegar, garlic, ginger and spices, and infuses the chicken with bags of flavour before being reduced to a glaze. Gently lower your chicken into a deep fryer to give it that crisp finish, and finish with more of your glaze, serving in a soft taco alongside a smashed cucumber salad. Schwartz's new Street Food Seasonings bring some of the world's best spice blends to the comfort of your kitchen at home. Whether it's the deep aroma of baharat from the Middle East, a piquant jerk seasoning, or Korean BBQ laced with sesame, chilli and garlic, there's something for everyone, and a whole world of possibilities out there. Check out the full range here.